Tull-ee-ho! : A combination of the old hunting cry Tally Ho! and the colloquial Hindi drinking word “tullee”. Also Indian for cheers. For someone who doesn’t mind an occasional cocktail, but has no clue about making one herself, The Tulleho! Book of Cocktails is a god-send. From the book, I learn that a good cocktail doesn’t need expensive ingredients. If you discount the cost of the alcohol, you can come up with creative ideas for a pretty drink with the stuff lying around in your house. That is exactly what we did, with this book. Our choices were many – we had some rum, some whiskey, some gin, some beer (and feni, of course). There is also a bottle of Angostura Bitters that we haven’t used yet. What could we come up with? The very-helpful index at the back of the book lets you match what you’ve got with what you can conjure. We narrowed our choice for our first drink to the ‘Old School’, a “superb Sunday brunch cocktail for whiskey lovers”. The Tabasco lying at the back of a cupboard heaved a sigh of relief at seeing the light of day. A little guava juice, whiskey and tabasco with a generous serving of ice and voila! our new Old School was ready. Garnished with salt and a green chilly (spicy!) and even we were surprised at how easy this had turned out to be. Tom Cruise would have approved. 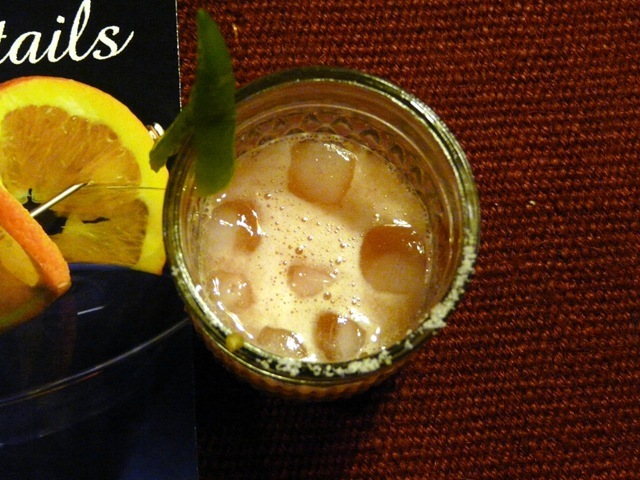 The book has a generous sprinkling of cocktails with an Indian twist. They call is ‘Desi Dhamaka’ and recipes include Vodka Shikanji, Jamunitini (gin+jamun), Anarkali (which strangely doesn’t have any pomegranate, but ginger instead). The indexes in the book are very helpful. Right from the standard listing on glassware, mixers and garnishes, types of cocktails to the list of ingredients at the back, the book is helpful and makes it easy to find what you are looking for. I would have liked an additional index that listed the recipes by level of difficulty as well. Each individual recipe is categorised by how easy or difficult it is to make and I’m lazy – I’d have liked to have started with all the easy ones first. Even without that, the book motivates you to do more than just serve standard drinks at your next party. The cocktail shaker is going to make an appearance more often at our house, I think. The Tulleho! 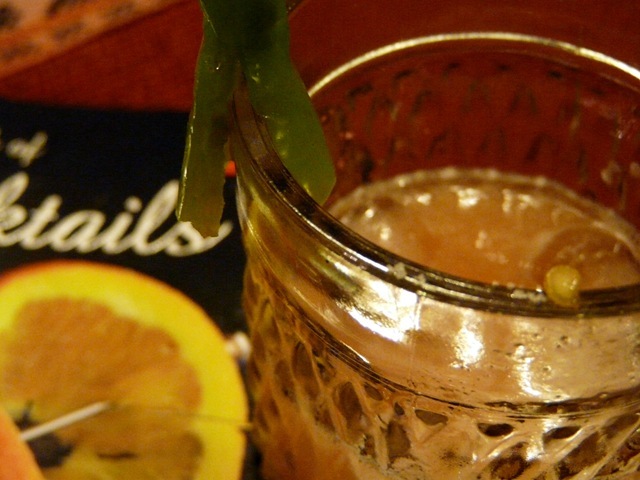 website has over 700 recipes for cocktails, which makes it even easier. Fill a cocktail shaker with ice, add the whiskey, guava juie and Tabasco and shake well. Rim the glass with salt and strain the cocktail into it. Garnish with the slit green chilli and serve.